Ground control safety issues include improving roof support performance, maintaining safe tailgate escapeways from longwalls, optimizing pillar design for retreat mining, controlling multiple seam interactions, predicting roof conditions during extended cuts, and preventing massive pillar collapses. Underground mining still has one of the highest fatal injury rates of any U.S. industry - more than five times the national average compared to other industries. Between 1999 and 2008, nearly 40% of all underground fatalities were attributed to roof, rib, and face falls. Small pieces of rock falling between bolts injure 400-500 coal mine workers each year. More underground coal reserves are being mined under deeper cover, with worse roof, or with potentially dangerous interactions from previous workings. Ground control accidents are also common in underground stone mines. 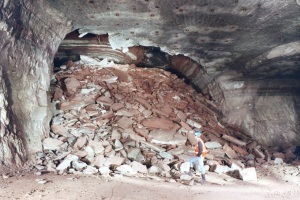 Nearly one-third of these accidents occur while removing loose roof and rib rock. NIOSH Mining emphasizes that engineering design should match the appropriate geologic, stress, or mining factors. Convergence and microseismic techniques are also being refined to provide warning of impending roof failures. Many practical ground control techniques have been developed through analyses of case histories from underground mines and large-scale laboratory testing of roof support elements. An entire toolbox of computer programs based on this research is available to assist the mining community with ground control monitoring and design. NIOSH is actively updating ground control toolbox programs and methods for calibrating these tools to different geologic regimes.